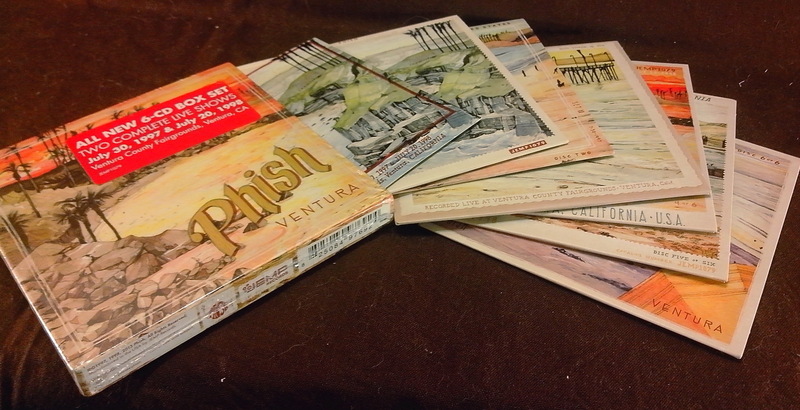 The new Phish live CD boxset called Ventura came earlier thanks to Phish Inc. and it is ready to go to YOUR house ! 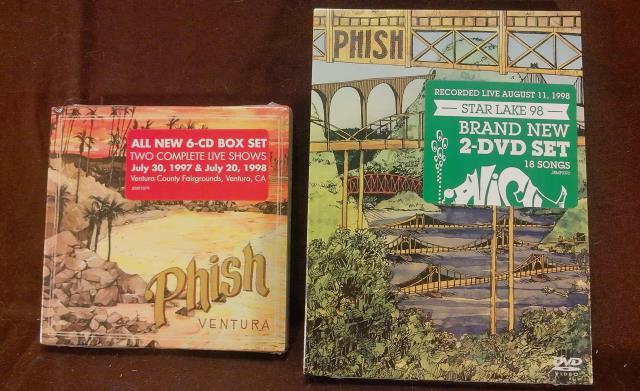 But it might come with a friend : Star Lake 98 dvd ! For a chance to win, comment this post with the answer of this question : "Where did Phish tour during summers 1997 and 1998 for the last time to date ?" The winner will be randomly choosen among comments and tweets made between now and Friday 21th June 13:00 (France time). If the winner wants only one of the two prices or if he choose to let someone else win, I'll pick up a second winner for the remaining prize ! This contest is open to european residents only.